Plan an elegant gathering in our Cottonwood Plaza, connected to our Cottonwood Room, and host up to 200 guests in this elegant outdoor venue. Complete with living walls, charming bistro lighting, fire pits, and additional seating, our new terrace is the perfect space for your next event in Monterey. Host a breathtaking celebration, reception, or networking event in the Memory Garden, able to accommodate up to 500 guests. The Upper Custom House is an outdoor space that can host up to 300 guests and offers access to bocce courts for an additional fee. 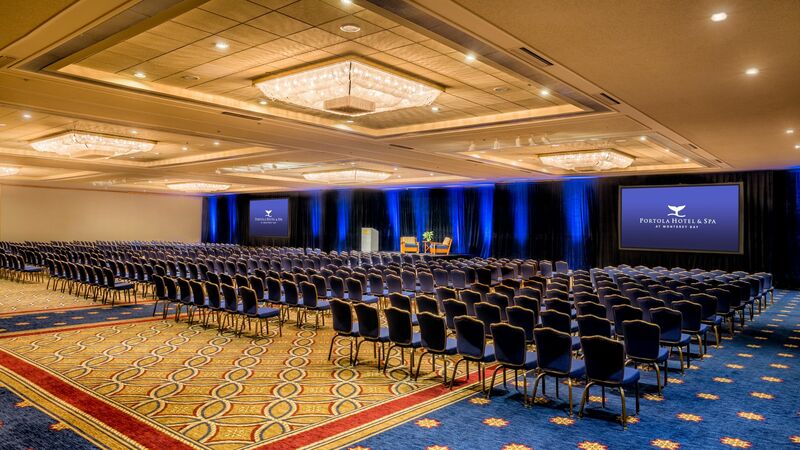 Featuring 28,750 square feet of space, the Lower Custom House can host up to 1,500 guests. Enjoy a large celebration or business event in this stylish outdoor space.